Here are a few simple measures which, if regularly taken, will greatly reduce the chances that your car will be stolen, especially if you live in a big city. First, always remember to take your keys out of the car and to lock it. Do this even when you park in front of your house or in the driveway. And when driving to the store, it is wise not to conclude that you will be inside only a moment and so nothing will happen to the car. Form the habit of always taking the keys out and locking your car, and, at the same time, making sure that all windows are rolled up tight. Remember: More than half of all stolen cars had the keys left in them, and three-quarters were left unlocked. 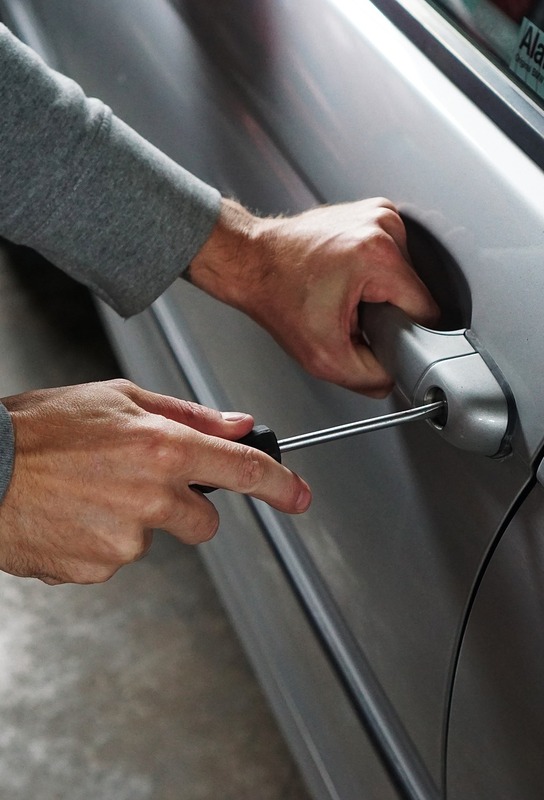 The benefit of this simple measure can be seen in the fact that, when “remove your-keys and lock-your-car” campaigns have been instituted, a marked reduction in car thefts has been realized. In San Francisco, for example, when there was such a program, 33-percent drop in thefts was experienced during one month, compared with the same month of the previous year. Another vital measure is to park in lighted, well-traveled areas. Pick a spot near a street lamp or a lighted store window. If you must park overnight on the street, do not leave your car in one place for more than a day or so at a time. Such cars are often stolen or stripped. If you have a garage, it would be wise to put your car inside and to lock the garage, at least for the night. Still another important measure is to put all valuables in the car out of sight. They can be an invitation for a thief to break in, who, as an afterthought, may steal the car too. Also, it is good never to leave your registration papers in the car (unless the law requires it), since professional thieves prize such proof of ownership. And in case your car is stolen, your initials scratched on the underside of the trunk lid, or in some other obscure place, may help to prove ownership if the car is recovered. When parking at a parking lot, it is often wise to pick one where the rear and sides are closed in. Generally cars are stolen from the back of lots while employees are busy in front. Also, lots where you can lock your car and take your keys are usually best. Of course, do not neglect the obvious, and, at times, the surest protection-auto theft insurance. But there are additional measures, too, which you can take to protect your car. Some have had a burglar-alarm system installed. This can be set so that anyone who tries to open the hood or car doors will set off a loud siren, which is almost certain to attract attention and scare a thief away. There are simpler, less expensive measures, however, that have proved effective. For example, a hood lock. You might want to put one on yourself. Some have devised a metal rod that is attached to a brace on the hood and that runs down in the back of the grill, where it is fastened by an ordinary padlock, hidden out of sight. Another very effective measure is to install a simple off-on switch. Hide it in some unlikely-to-be-found place-in a locked glove compartment, for example. This switch can be designed so that when it is flipped off it opens the electrical circuit directly at the coil or distributor. Thus, even if a thief gains entry to your car, it will be impossible for him to start the car from the inside as long as this off-on switch is flipped off. And with the hood securely locked, a thief will not be able to get under the hood to start the car from there. The additional safeguards of a hood lock and an off-on switch have proved very effective in discouraging car thieves. Living in this time of unparalleled lawlessness when car stealing is the biggest crime against property, it is only wise to take precautions. If you have a car, don’t let them steal it!